I’ve never been one to fuss over KIKO, I’m not sure why really, it’s because I dislike the brand I just never seem to find what I’m looking for in terms of lipstick. 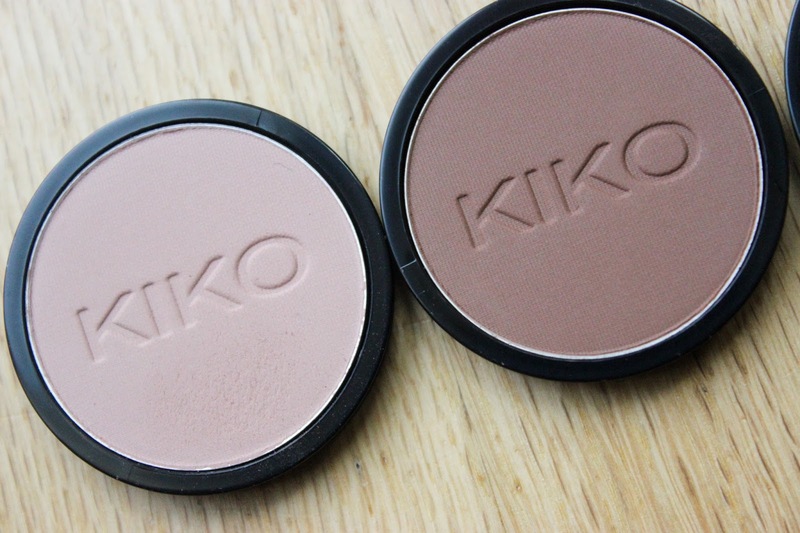 The other day whilst walking around Westfield I decided to pop into KIKO again but this time for eye shadows. I had never paid attention to their eye shadows at all so I was more than surprised to see KIKO selling pan shadows for less than £3 each!! I quickly picked up some shadows trying not to purchase shadows that I had dupes for back home – didn’t really work out but hey ho! 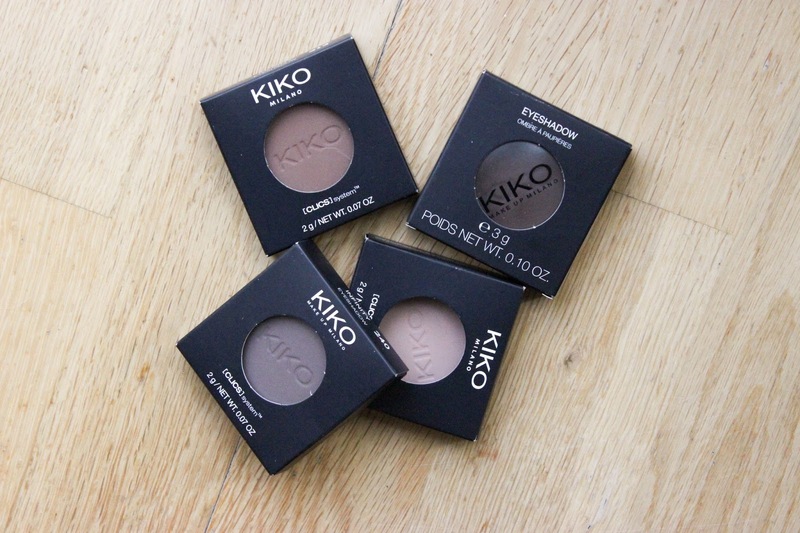 I opted for 4 matte shadows (3 infinity shadows at £2.80 each and one eye shadow at £2.90) as matte eye shadows are the hardest to get right so the quality would really speak for itself – if chalky I would know to leave these shadows alone. Let me get straight to the point – I am BLOWN AWAY by the quality of these shadows considering they retail for £2.90 each. The mattes are buttery and so pigmented I cannot believe the price! 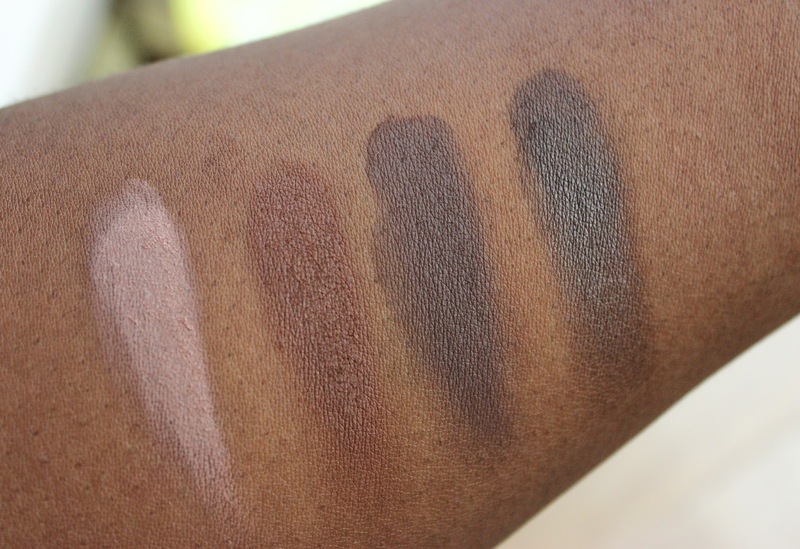 I swatched the shades without any primer and with minimal fall out and look how vivid they appear on my skin tone! I mean, as you can tell this is a big deal for me! Mat Desert Sand is a perfect brow bone highlight and lid colour, whilst Mat Cocoa is fantastic as a transition colour or crease colour, Mat Dark Taupe and Satin Coffee both work well to either help smoke out the eye or create definition – they also would work fantastically well as shades for a smokey eye. I can say I am VERY impressed with these shades and I’m already thinking about picking up a few more. 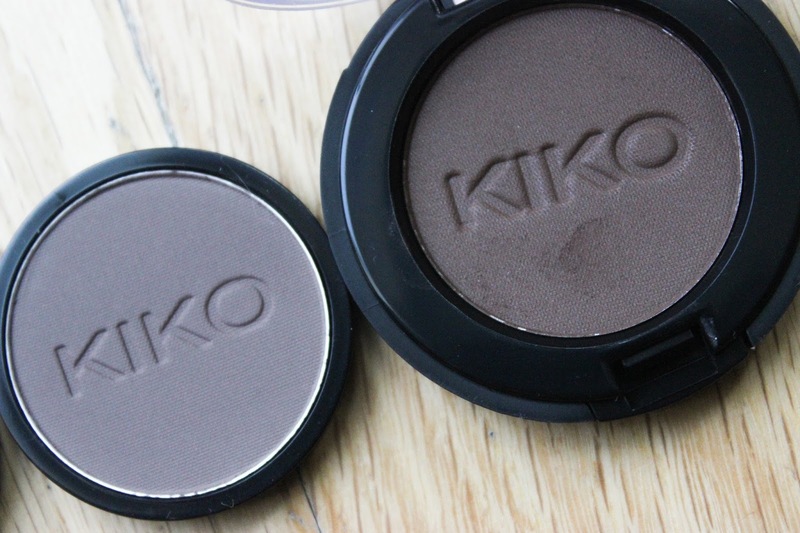 For the full range of infinity shadows on offer from KIKO click HERE. Absolutely amazing for the price! I am really impressed!